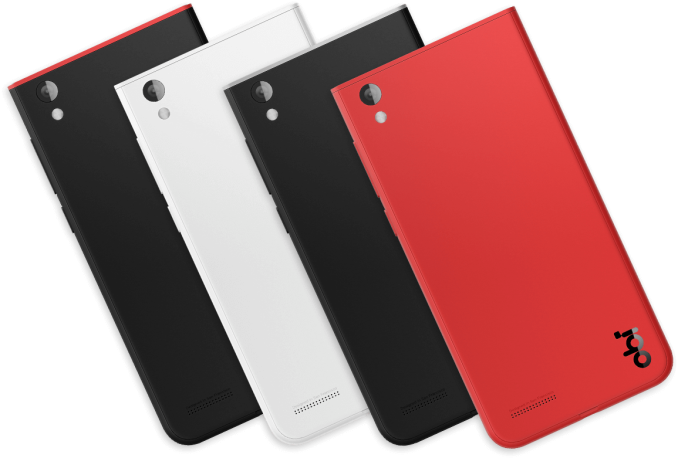 Today Obi Worldphone, the smartphone company co-founded by former CEO of Apple and former president of Pepsi John Sculley, launched two new smartphones targeted at emerging markets. The first of the new phones has two SKUs, which allows the devices to target three different price points in the low-end and mid-range sections of the smartphone market. You can check out the specifications of both new smartphones in the chart below. As you can see, the Worldphone SJ1.5 targets the low end of the smartphone market, while the SF1 is a mid-range device. I personally think the SJ1.5 might have trouble competing with Motorola's Moto E in regions where there is LTE coverage, but it does offer a larger, higher resolution display, as well as a very large battery and dual-SIM slot support which is very important for customers in emerging markets. Unsurprisingly, the SJ1.5 has a polycarbonate chassis, although the specifications for it indicate that it uses a magnesium-titanium alloy inside for support. In my opinion, the more interesting of these two devices is the Worldphone SF1. The SF1's chassis is made of reinforced fiberglass, and despite its 11.4Wh battery is only 8mm thick. In many ways, it reminds me of the OnePlus One in how it offers some high quality specifications at a low price. For $199 you get 2GB of RAM, 16GB of NAND, a 1080p display, Sony's IMX214 camera sensor, and Qualcomm's Snapdragon 615 SoC. Moving up to $249 gets you an additional gigabyte of RAM, and doubles your storage to 32GB. At least on paper, the Worldphone SF1 appears to give you more for your money than a phone like the Moto G, and it could have a significant impact when it launches in the EMIEA region in the near future. The design of both the SF1 and the SJ1.5 reminds me a lot of the older Nokia Lumia smartphones like the Lumia 800, although there are a number of differences that give them a distinct appearance. I'm actually interested in trying one of these new devices to see how they feel in the hand and whether they live up to the expectations created by their specifications on paper. Obi Worldphone's listed specifications do have some oddities, such as the Worldphone SF1 launching with Android 5.0.2 while the SJ1.5 launches with Android 5.1. It's not clear if there are some errors or if the devices really will ship with two different versions of Android at launch. Both the Worldphone SF1 and Worldphone SJ1.5 will be launching in the near future at both online and physical retailers in countries including but not limited to Vietnam, India, Tukey, Pakistan, South Africa, Nigeria, Thailand, and the United Arab Emirates. The Worldphone SF1 is priced at $199 and $249 USD depending on the model you purchase, while the Worldphone SJ1.5 will be $129. It is not weird that lower one has 5.1 and the other one 5.0.2. Most probably they outsource the OS development to somewhere and the processor difference is the reason. For example Xiaomi MIUI use the scheme like this, newer phone use latest android and the previous one have to wait until they release the update. Are you suggesting that the iphone's display extends all the way to the top and bottom of the shell? I have never seen the mystery pixels that wrap around the speaker, camera, home button, et al. Not sure why you're complaining about the top and bottom bezel that exists on all* phones. No, I am not suggesting that the iphone's display extends all the way to the top and bottom of the shell.